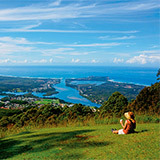 Are you an experienced traveller or is this your first road trip? Either way we've pulled together a selection of tips and tricks to get your next caravan adventure off the ground. 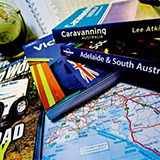 From preparing your vehicle for the road and loading it with the essentials to lighting a campfire and taking beautiful photographs of your journey, read on for the ultimate Australian road trip guide. It's not all about packing enough beer you know! 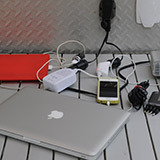 There are some pretty simple tools to pack that will get you through the best and worst of times on the road. 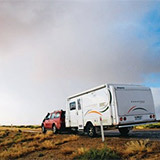 Find out how to prepare your caravan properly before you hit the road. Discover the items that will ensure your road trip runs smoothly. Going away for an extended period? Here's everything you need to know. Folllow our top tips to minimise dangerous driving in woolly weather. You don't have to have a big budget to have a good time. Learn how to manage your finances, balance your books and curb your spending during your travels. 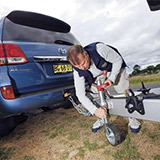 Is diesel, petrol or LPG the most economical fuel for towing a caravan? 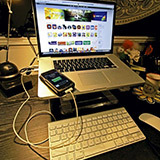 The experts reveal tried and tested tips for reducing travel expenses. Just because you've towed a caravan before doesn't mean you can get complacent. 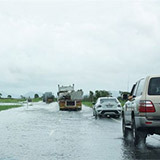 Brush up on your towing skills and learn correct road etiquette. 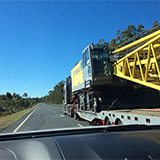 Before you hitch up your rig check out tips for safe, fuss-free towing. Navigate the complicated world of caravan courtesy from right of way to overtaking. Make your friends and family jealous by taking high quality photos and posting them on Facebook, after you've added a filter using one of these top apps. Use these travel photography tips to keep a record of your road trip. 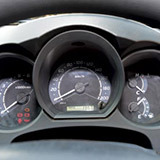 Make use of the top touring apps from maps and weather tracking to communication tools. Finally, to the all-important subject of camping. 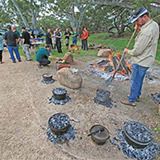 Are you the designated camp cook or do you leave the work to someone else? Find out how to impress with fire skills. The tools you need to keep the campfire burning and whip up some gourmet delights. 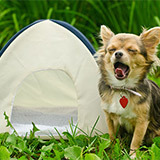 Check out the best ways to accommodate your furry best friend on your next camping trip. 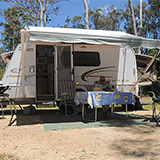 Now that you're ready to go, book holiday park accommodation at turu.com.au.